We have e-books for you! You can browse our e-book collections here and here. If you’re having trouble, feel free to stop in and ask at the Information Desk. We’re happy to troubleshoot with you! 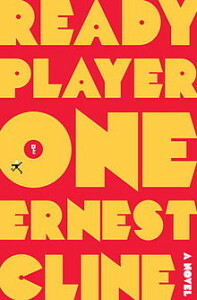 Ready Player One by Ernest Cline is a fast paced action-adventure story set in a future dystopic America, complete with shanty-town-skyscrapers made from mobile homes and armored bus service between cities to guard against roving bands of highwaymen and thieves. Good stuff in and of itself to be sure. But what really made this premier novel so much fun was the setting within the setting. Turns out that in Cline’s vision of the future, people are positively obsessed with ’80s pop culture and frequently retreat into an immersive computer simulation allowing them to escape the drudgery of living in a shanty-town-skyscraper while also indulging in movies by John Hughes, Atari video games, the music of Rush, and Cold War paranoia. Don’t you just miss those days? There’s nothing terribly ground breaking in Ready Player One; I’m not disclosing classified information to say that the hero saves the day and gets the girl in the end. (Don’t be mad; you’d have figured out the ending after the first 50 pages anyway.) The journey though ’80s pop culture (which incidentally includes Journey) is a real treat and brought back – at least for this child of the ’80s – a flood of nostalgia. Ok, time to play some Pitfall! If you’ve never visited the campus of Butler University and enjoyed an evening at the Holcomb Observatory, you really should! It’s free (though they do suggest a donation) and fun, and on a clear night, the observatory’s telescope will be directed at Venus, Saturn, Jupiter or Mars (and some non-planetary objects too). You’ll be surprised at the level of detail you can see with a (relatively) small telescope in the middle of a light-polluted city. One of my favorite experiences at Holcomb was seeing the polar caps of Mars, which got me thinking about the place of this red planet in our imaginations. Lots of authors have used our closest planetary neighbor as a setting for some great fiction. The movie may have bombed at the box office last summer but you’ll still want to read Edgar Rice Burroughs John Carter series starting with The Princess of Mars. Of course after reading the source material, you should also see the movie (since you, like most of America, didn’t see it in theatres). The library has it on DVD. A recent homage to Burroughs’ iconic series comes from fantasy writer S.M. Stirling’s The Lords of Creation. Set against the background of the Cold War, this series journeys to both Venus and Mars, playing up the Soviet-American rivalry with all kinds of nostalgia. 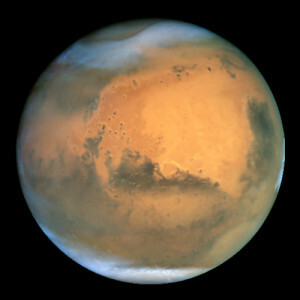 Ray Bradbury also speculated about Mars colonization with The Martian Chronicles. Dan Simmons combines the mythology of the Trojan War in an epic set on the Red Planet in two books – Ilium and Olympos. 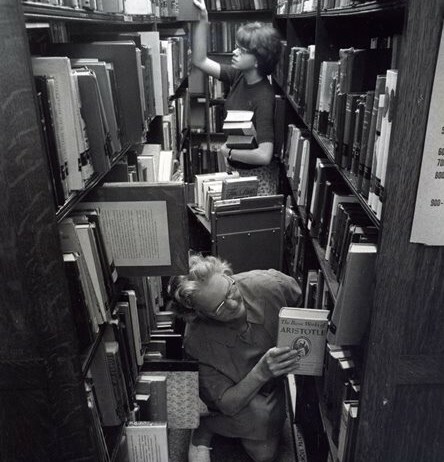 Let us help you find a great book! The library has over 100,000 books in its collection and thousands more at other libraries in the Evergreen Indiana consortium! Let us help you find that next great read or use some of our databases – like eSequels – to browse through authors, their series and related works. There is a book here waiting to be read by you!